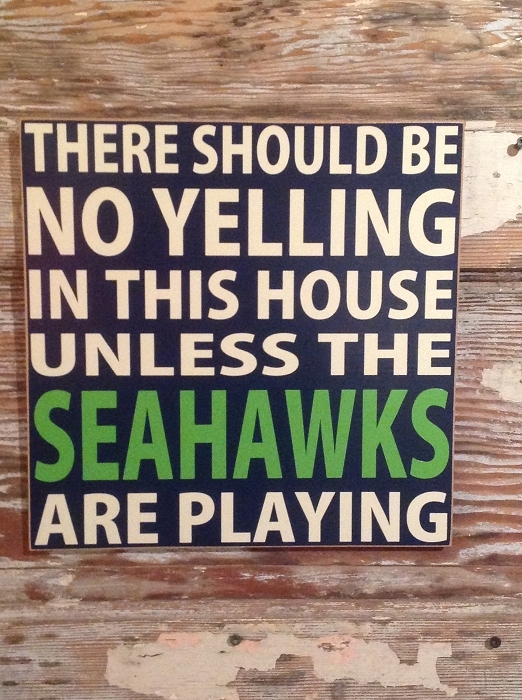 There Should Be No Yelling In This House Unless The Seahawks Are Playing. 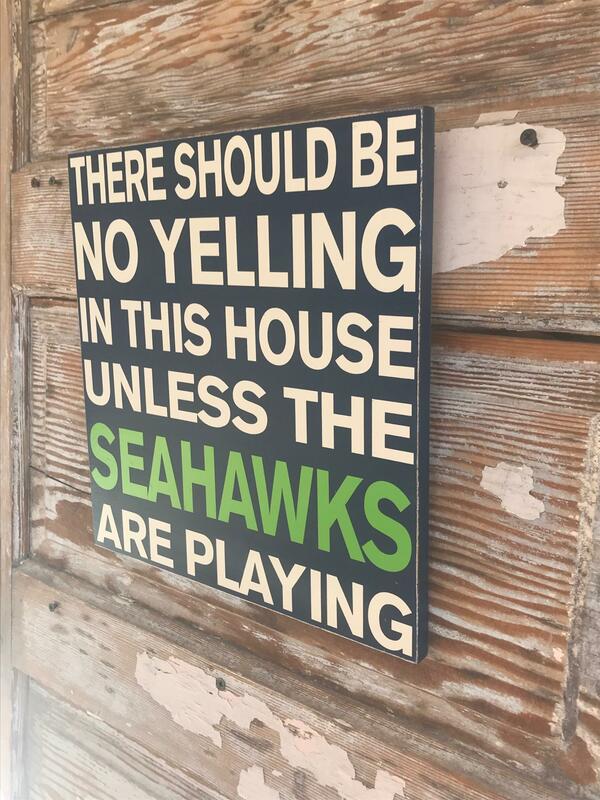 Great addition for any Seattle Seahawks Fan! 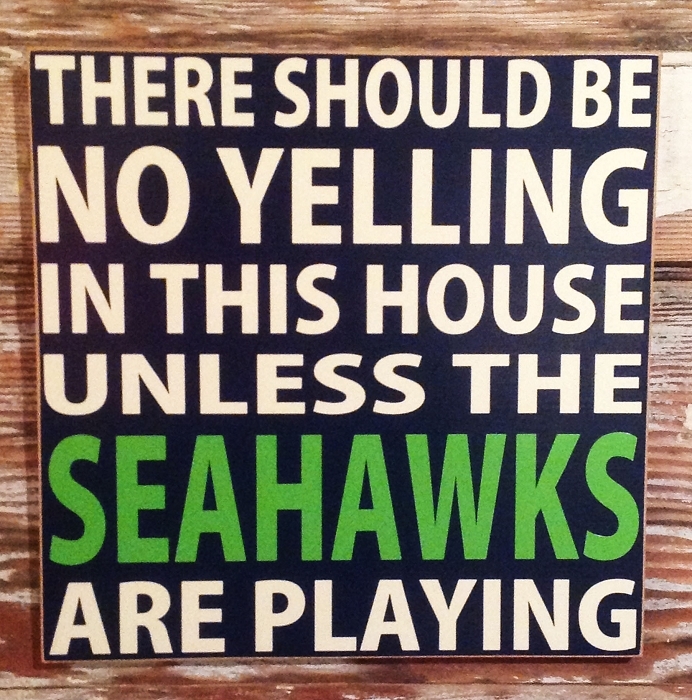 As Pictured, Navy sign with Off White lettering & Seawhawks in Lime Green Vinyl. 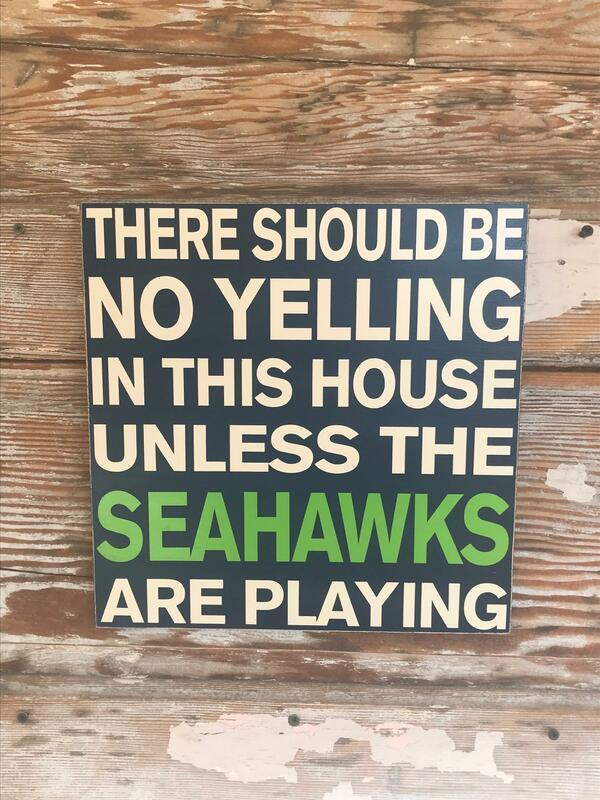 In This House We Love, Laugh, Dance, Pray, Do Our Best & Cheer For The Seahawks. Customized with Family's Last Name. In This House We Love, Laugh, Dance, Pray, Do Our Best And Cheer For The Cardinals.